For people who have been arrested for DUI in Maryland, it often means being thrust into a whole new world of terminology and expectations. Court dates, attorneys, judges, and complex procedures can feel a bit overwhelming. Among the many questions many DWI defendants have, sometimes waiting for trial can be the hardest part. At the Law Offices of Todd K. Mohink, P.A., we aim to help clients understand the process. Sometimes just knowing what to expect can take much of the mystery and fear out of facing a DWI jury trial. The Sixth Amendment to the U.S. Constitution guarantees anyone accused of a crime the right to a “speedy and public trial.” For this reason, all states have enacted rules and statutes to ensure the swift administration of justice. As a general rule, Maryland law requires that the State give you a trial for your alleged crime within 180 days from the date that you appear before the court or when your attorney enters an appearance, whichever happens first. Therefore, the burden is on the government to bring the matter to trial. There are, of course, a number of reasons why this may not happen. There are two broad exceptions to the speedy trial requirement: (a) when you request a continuance or in some way consent to extending the time; and (b) where the government can show “good cause” for an extension. If prosecutors cannot get the case ready for trial in time, they are often left with two unpleasant options. They can either dismiss the case, thereby barring them from re-charging the defendant in the future (even if more evidence is discovered), or they can proceed to trial and present the case as best they can with the information and evidence they have at the time. Sometimes prosecutors are forced to bring a case earlier than they would normally want to, because police made an arrest with less than sufficient evidence. Perhaps the police officer has transferred or moved out of state and cannot get back in time for the trial date. Maybe a key witness is not responding to communications. Whatever the reasons, prosecutors may find themselves in the tough position of trying a case that they aren’t ready to try. 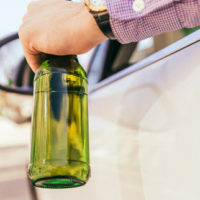 In many cases, they would prefer to get a quick plea deal for a non-moving traffic violation or an ordinance violation so as to collect a fine and close the case, rather than face a not-guilty verdict at trial. At the Law Offices of Todd K. Mohink, P.A. in Maryland, it’s always our goal to use careful strategy to move your case forward swiftly. Yet there are times when letting the prosecution run out of time is better. Ultimately, these are decisions you should discuss with an attorney as early as possible in your case so that you don’t accidentally waive your right to dismiss a case for lack of a speedy trial. Call our firm today to learn more.